There are no comments for Pilgrims: Thanksgiving, 1621. Click here to post the first comment. 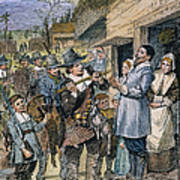 PILGRIMS: THANKSGIVING, 1621. 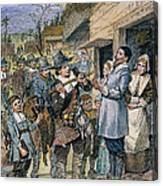 'After the first harvest of the colonists at Plymouth, in 1621, Governor Bradford sent four men out fowling, that they "might after a more special manner rejoice together."' 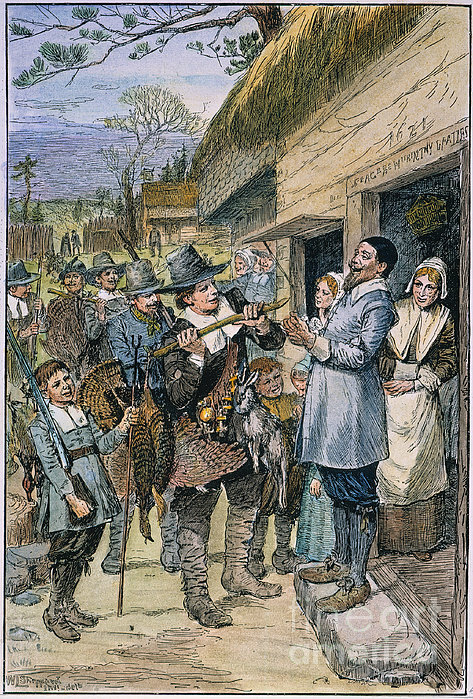 American engraving, 19th century, drawn by W.F. Sheppard.